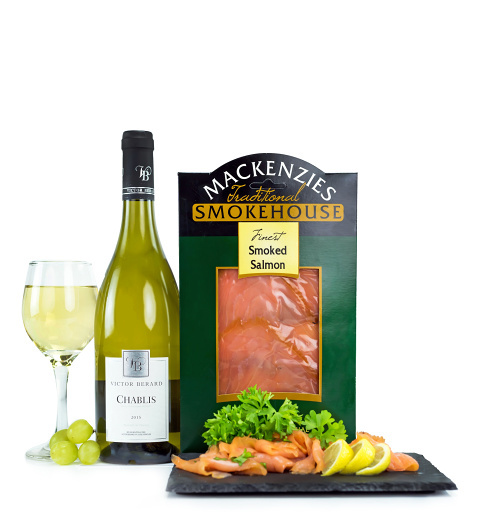 Impress your recipient with this fine smoked salmon and Chablis gift. The perfect gift to celebrate Christmas with class. A traditional gift that has stood time year after year.